Introducing new products to market is no easy task. For hardware startups with limited resources, building the right team from the best talent available is critical. Bringing people together to work effectively as a team is probably one of the biggest challenges you will have to overcome. 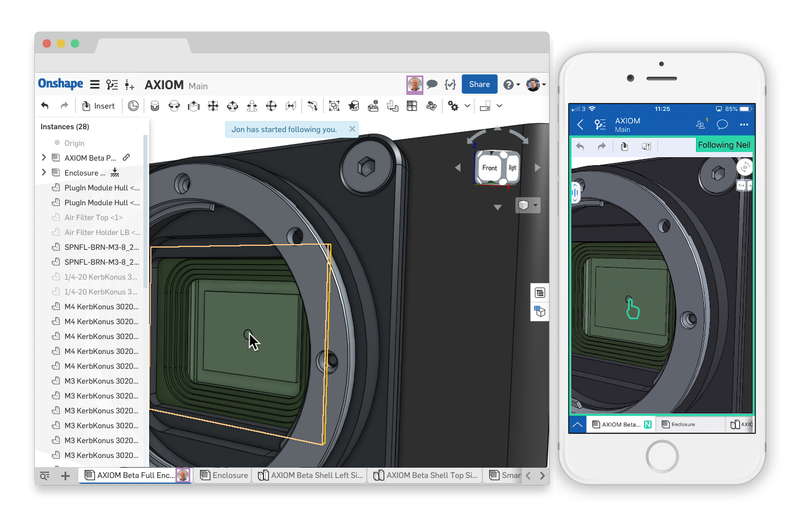 Onshape is the only product development platform that can be deployed instantly on any available device, enabling teams to work together from anywhere in the world. Real-time design reviews, commenting and simultaneous editing enable a true collaborative workflow where everyone’s input can be captured, recorded and implemented into the final design. When dealing with suppliers you’ve never worked with before, protecting your intellectual property should be your highest priority. If they share your ideas with your competitors, they could get an equivalent product to market before you do, on the back of all your hard work and innovation. 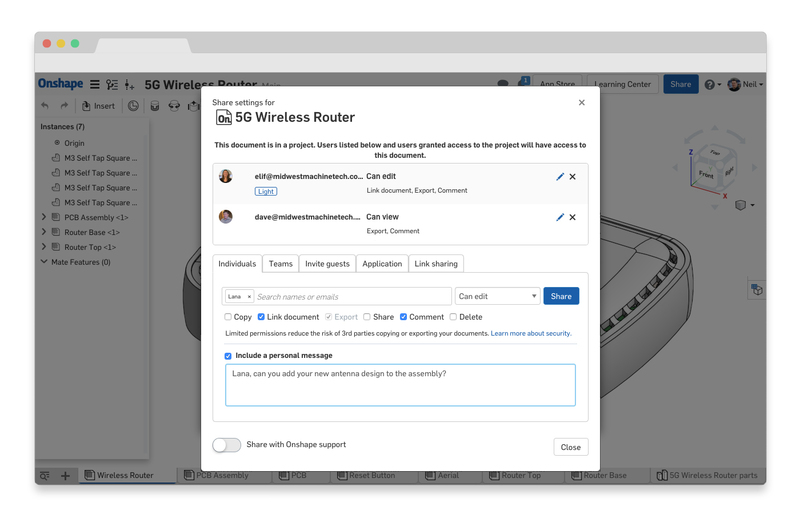 Onshape’s secure sharing enables you to provide the right level of permissions for each team member, contractor or supplier who can be viewing or editing your design in a matter of seconds. Your intellectual property is protected at all times - no data ever leaves Onshape’s servers and data access can be revoked at any time. Keeping on top of new and emerging manufacturing technologies can make a huge difference on the final cost of your product. Every manufacturing and assembly process has different design requirements which should be considered at the earliest stages of development to ensure that you’re not adding unnecessary costs before you realize any revenue. 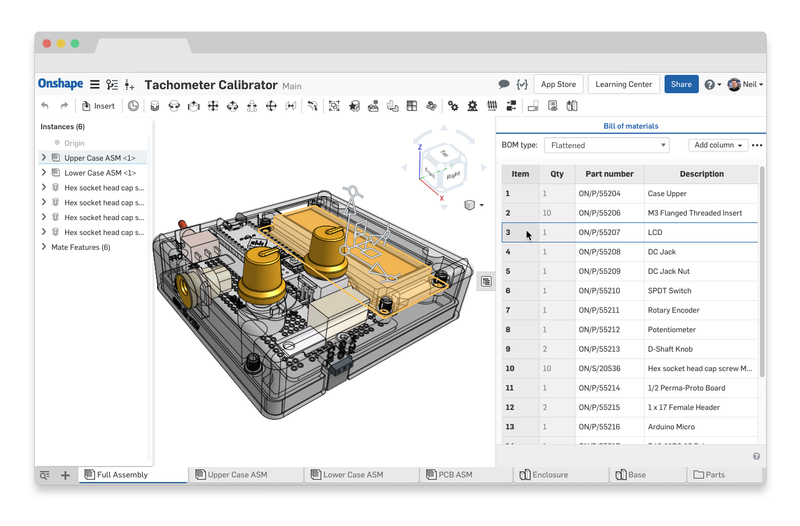 Onshape’s unique architecture and built-in data management enables teams to design related parts and subassemblies together. Alternative design and manufacturing methods can be explored in different sandbox environments, so your team can experiment with multiple ideas without affecting each other's work. Errors and bad design decisions are easily undone, while the best ideas can be merged with the main design.